As we are a trustworthy cup cake packaging machine manufacturer, the complete assortment of raw material sourced undergoes stern examinations by the professionals to keep the quality standards high. Owing to this, we are capable of bringing forth exceptional quality products. Our storage unit is inclusive of all required amenities essential for a safe storage of the products. The unit is supervised by efficient personnel ensuring zero damage to the stored items. Our machines are highly power-efficient and budget-friendly as well that makes them the best perfect choice for everyone. 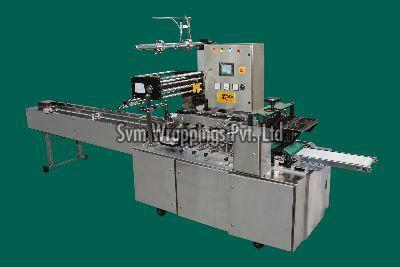 Looking for a notable Cup cake packaging machine exporter? Contact us now.